Gavin Cooney (left) scored five points for Clare. 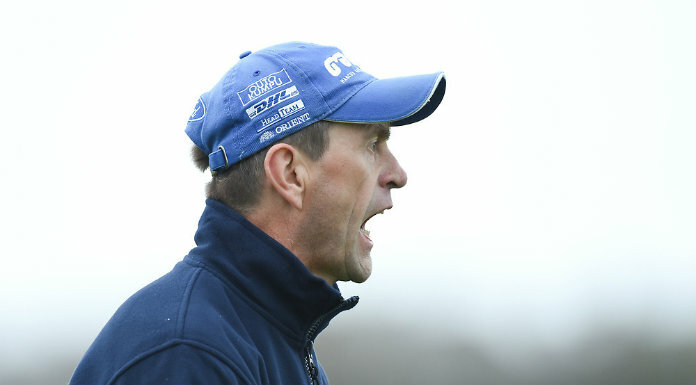 Clare may have progressed to the semi-final of the Munster Minor Football Championship at Cusack Park on Wednesday evening but anyone from Limerick watching the game would not have been too frightened by what they saw. Clare will meet the Shannonsiders in the semi-final on Wednesday, May 10 at the Gaelic Grounds at 7pm. Cork will play Kerry in the other semi-final at Pairc Uí Rinn on the same evening. That Clare deserved their victory over Tipperary is not in question but it was a poor contest, riddled with 46 frees, while the Banner men did not get a score from play until the 40th minute. Clare dominated the exchanges but they struggled to turn this into scores. Full-forward Gavin Cooney was the game’s top scorer with 0-5, three from play in the second half. 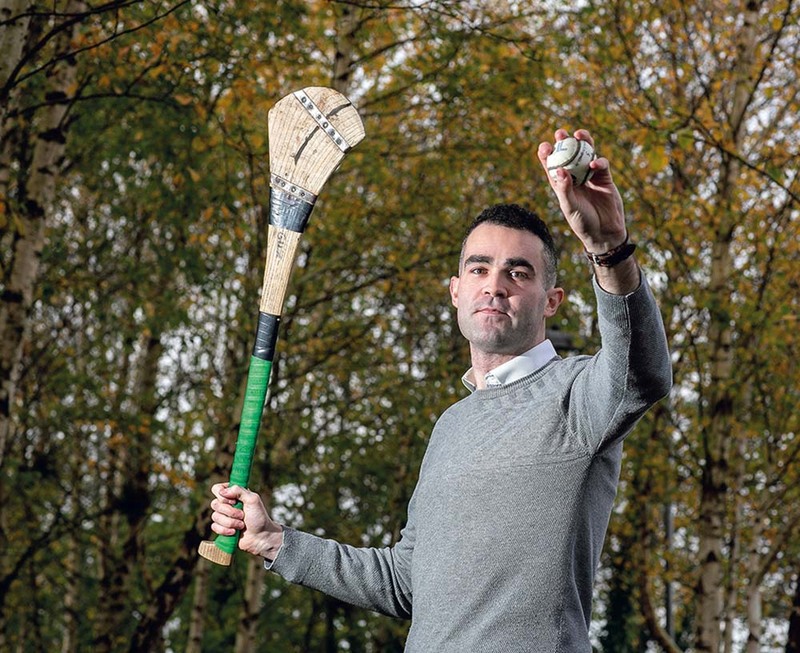 Indeed, the Éire Óg clubman was the county’s only scorer from play. Clare hit the front in the opening minute when Padraig Kelly converted a 43m free. The St Breckan’s teenager would add three more points from placed balls before the final whistle. The winners had to wait until the 10th minute for their second score, a Gavin Cooney point from a 13m free, after he had been fouled. The first of the few goal-scoring opportunities presented itself two minutes later but Jack Dolan in the Tipperary goal saved from Gearóid Cahill. Clare increased their lead to three when Cooney converted his second free at the end of the first quarter. A further two minutes had elapsed before Tipperary opened their account, Conal Kennedy pointing from play. The remaining scores in this half came from placed balls, with Kelly and team captain Dermot Coughlan on target for the home side, while Ryan Lambe converted a 45’ for the visitors, to leave the half-time score at 0-5 to 0-2. Tipperary enjoyed their best spell in the opening 10 minutes of the second half but they struggled to break down a hard-working Clare defence, in which Joe Miniter in particular and Jayme O’Sullivan did well. Kelly stretched the lead with another 44m free before Tipperary landed two through Riain Quigley (free) and Adam Kennedy, cutting Clare’s lead to two points. In the 10th minute, Clare had their first score from play, Gavin Cooney hitting the target after which 10 scoreless minutes followed. Both sides made a number of changes at this stage. Wth the game inside the final 10 minutes, Adam McGrath landed what proved to be the Premier County side’s final score. Clare finished with points from Cooney (2) and another Kelly free. Clare made five substitutions in the second half, four in the final quarter, while Tipperary also made five changes but they failed to match the workrate of the home side. 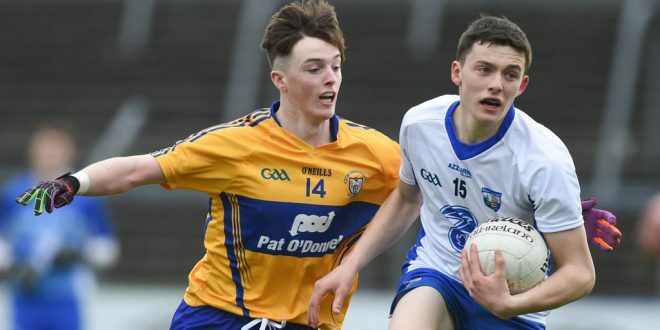 Joe Miniter and Jayme O’Sullivan led the way in what was a strong defence for Clare. Up front, Gavin Cooney and Padraig Kelly were always prominent and, between them, accounted for all but a point of their side’s total. Jack Harney, Paul Devlin, Ryanh Lambe and Adam McGrath did best for Tipperary but, overall, Clare were more evenly-balanced. Clare: Mark Lillis (Cooraclare); Joe Miniter (Kilrush), Jayme O’Sullivan (Wolfe Tones), Jack Sheedy (St Breckan’s); Diarmuid Ryan (Cratloe), Fergal Donnellan (Cooraclare), Colin McNeilis (Clondegad); Conor McMahon (Cratloe), Danny Griffin (Éire Óg); Dermot Coughlan (Kilmurry-Ibrickane, captain), Padraig Kelly (St Breckan’s), Sean Rouine (Ennistymon); Ross O’Doherty (Ennistymon), Gavin Cooney (Éire Óg), Gearóid Cahill (Corofin). Subs: Keith White (Inagh-Kilnamona) for McMahon (inj, half-time); Ciaran O’Donoghue (Cooraclare) for O’Doherty (45 minutes); Riain Considine (Cratloe) for Cahill (53 minutes); Aidan McNamara (Michael Cusack’s) for Griffin (54 minutes); Billy Clancy (Kilrush) for Coughlan (57 minutes). Scorers: Gavin Cooney (0-5, 2f); Padraig Kelly (0-4f); Dermot Coughlan (0-1f). Bookings: Jack Sheedy (43 minutes), Sean Rouine (46 minutes), Ciaran O’Donoghue (50 minutes). Tipperary: Jack Dolan; Jack Harney, Jake Flannery, Diarmuid Mulcahy; Darragh Bolger, Paul Devlin, John Ryan; Stephen Grogan, Shane Ryan; Riain Quigley, Ryan Lambe, Calvin Boland; Adam McGrath, Conal Kennedy, Mark Stokes. Subs: Darragh O’Leary for Flannery (39 minutes); Cian O’Sullivan for Boland (49 minutes); Manus McFadden for Bolger (54 minutes); Darragh Tynan for Stokes and Flannery for Quigley (56 minutes). Scorers: Adam McGrath (0-2); Ryan Lambe (45’), Riain Quigley (f), Conal Kennedy (0-1 each). Bookings: Diarmuid Mulcahy (13 minutes).